Attorney - Masson Law Firm P.A. Attorney Marie Elsa Masson understands that having an accident on the job can cause disruption to your life and business, and that is in addition to dealing with the pain and healing process of the actual injury. She will offer a helping hand by educating you on the workers’ compensation process and providing timely advice on your particular case, whether you are a business owner, or injured worker. Attorney Marie Elsa Masson has been practicing in the area of workers’ compensation for over 16 years. She has represented insurance companies and business owners, and she is aware of the pitfalls in the system that can occur when employers or insurance carriers do not act quickly, or lack coordination between them. Attorney Marie Elsa Masson has the knowledge and experience to also advise and represent injured workers while they navigate the complex process of workers’ compensation claims. Ms. Masson handles all aspects of civil litigation, including mediation, trials and appeals. She provides aggressive and timely legal strategies to bring matters to early closure with the effective use of alternative dispute resolution. Ms. Masson has represented Fortune 500 companies and has worked with clients in the areas of telecommunications, food and beverage, entertainment, retail, hospitality, health care, equine sports organizations, and construction industries. Ms. Masson is licensed to practice law in Florida and admitted in the U.S. District Courts for the Northern, Middle and Southern Districts of FL. 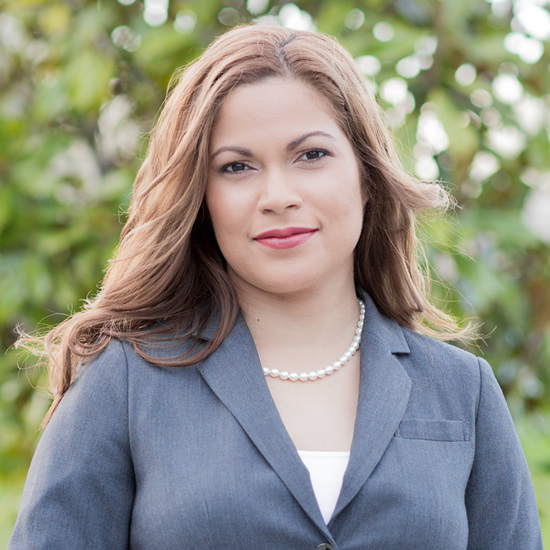 Her professional affiliations include the Florida Bar (Workers’ Compensation and Labor & Employment Sections), the American Bar Association, the Hispanic National Bar Association. She is the current President of the Puerto Rican Bar Association of Florida, Inc., a non-profit dedicated to enhancing the knowledge and professionalism of its members in the legal community, advancing and defending the civil rights of Puerto Rican citizens through education, and providing low-cost or pro bono legal services to the poor in our community. Ms. Masson is a contributor to Hispanics Speak Out, a television program focusing on social, political, and cultural issues of interest to the Central Florida Community. She has also appeared as a panelist on various local radio shows, participating as a Latina role model, and has served as a panelist for the Florida Diversity Council in Orlando, FL. A resident of Lake County, Ms. Masson enjoys the unique landscape and diverse cultural make up of this flourishing area of Florida. Whether you are an injured worker, or an employer in need of information or representation in court, attorney Masson can assist you and will give you an honest, prompt, helping hand. She is available throughout Central Florida for any cases in the counties of Orange, Osceola, Seminole, Volusia, Lake, Marion, Polk, and Hillsborough. Ms. Masson is fully bilingual in Spanish and English.